To celebrate the 50th episode of WYM Radio, Cosmic Gate will be helming a very special, next-level Miami cruise event during WMC this year! On board one of the finest club yachts to set sail out of Miami, we’ll be bringing you open seas, open bars, incredible edibles and profound sounds! 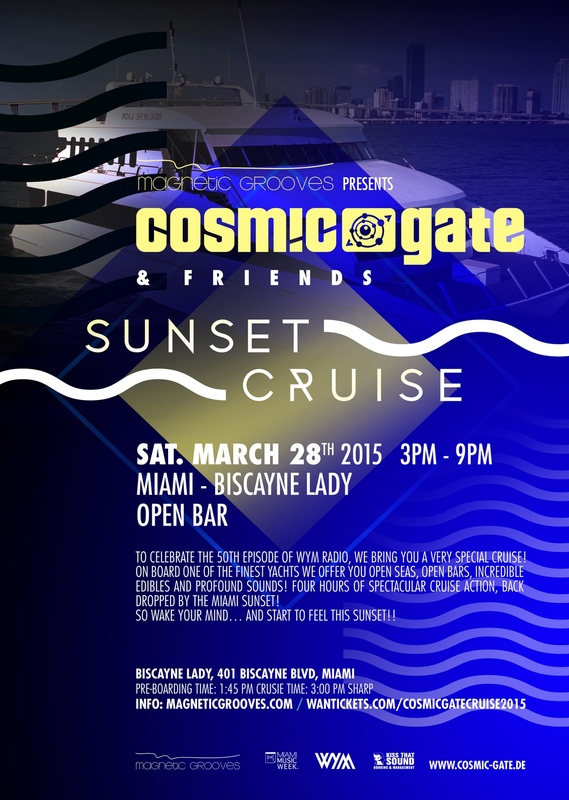 Six hours of spectacular cruise action, back dropped by the celebrated Miami sunset and soundtracked by Cosmic Gate. So Wake Your Mind… And Start To Feel This Sunset on Saturday March28th! !